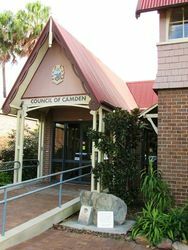 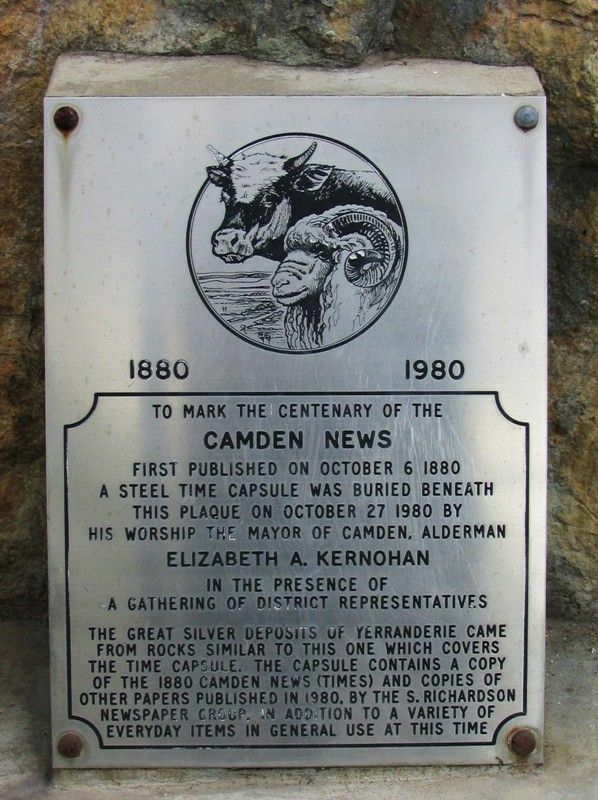 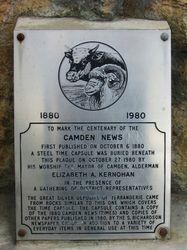 A time capsule, buried beneath a silver plaque, commemorates the centenary of the Camden News which was first published on October 6th, 1880. 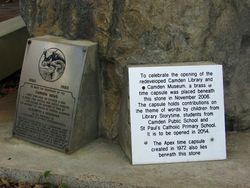 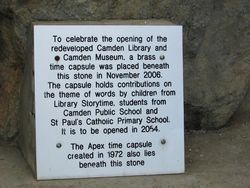 The time capsule is located beside the Apex Time capsule buried in 1972 and a brass time capsule buried in 2006 to celebrate the opening on the redeveloped Camden Library. 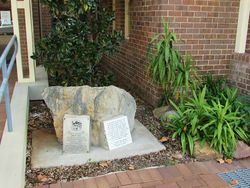 The great silver deposits of Yerranderie came from rocks similar to this one which covers the time capsule.